Minister of Agriculture Horticulture Mr.Pandurang Pundalik Fundkar visits on 03rd January 2018. 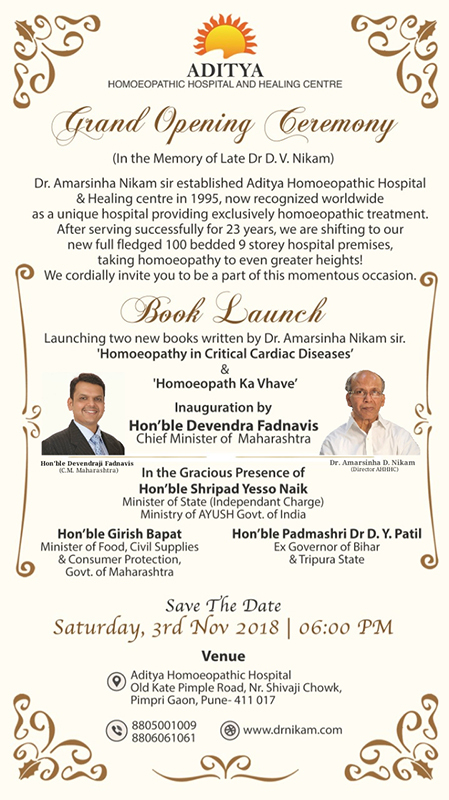 20th January 2011 will be marked as a memorable day in the history of Aditya homoeopathic hospital. Dr. Amarsinha Nikam was invited in the seminar of Dr. Rajan Shankaran dated on 20th Jan, 2018. 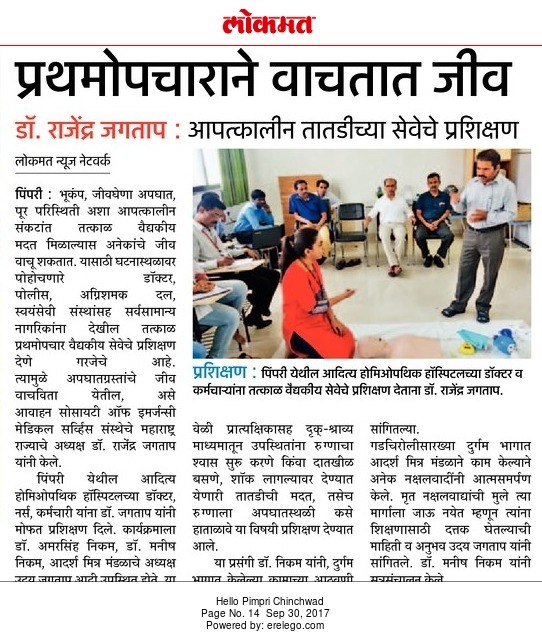 Lecture organized by Pudhari and Mission Homoeopathy at Kolhapur. 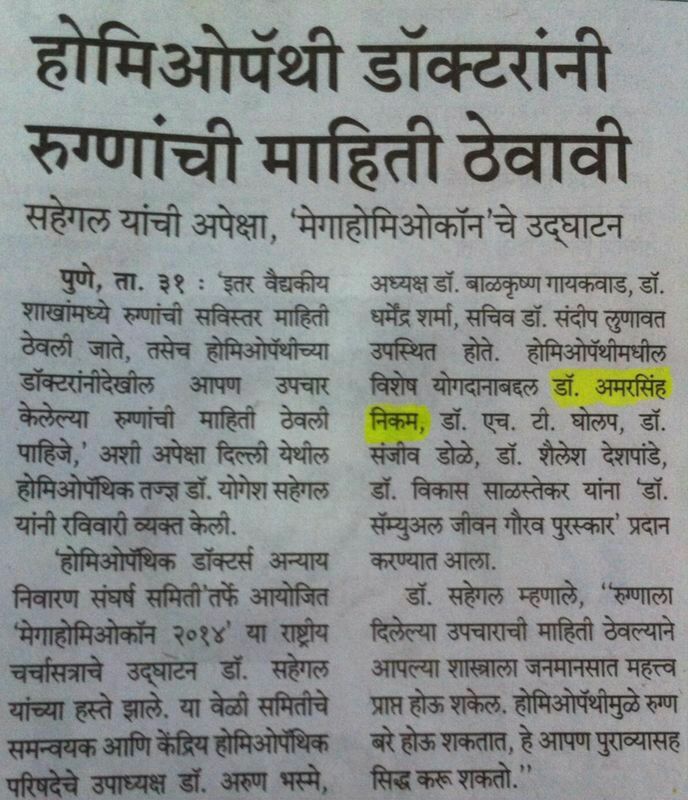 3rd International conference on Cancer Held at Nashik Sunday, 21st Jan, 2018. 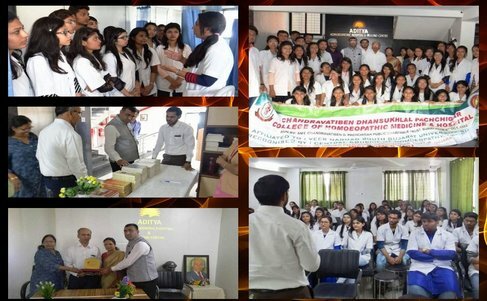 Student of Surat Homoeopathic on 19th December, 2016. 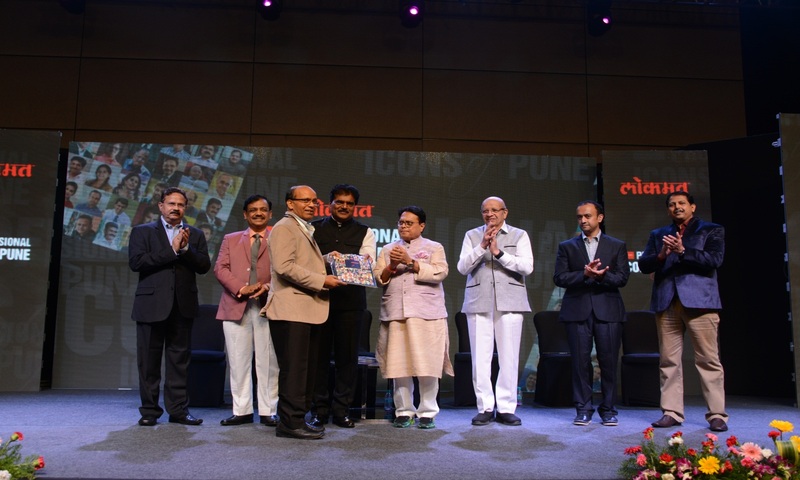 Honourable Mr. Devendra Fadnavis Chief Minister of Maharashtra with Dr. Nikam(24th March, 2018). 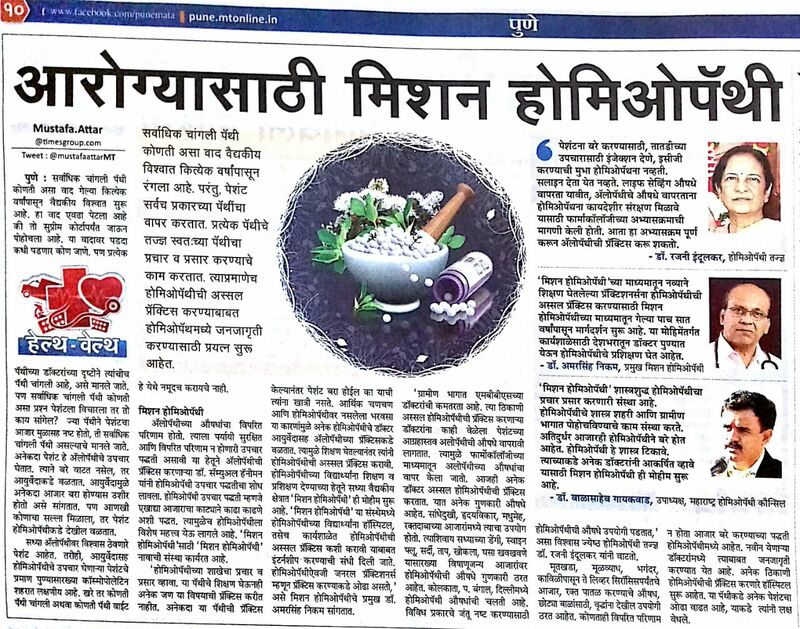 Article on Mission Homoeopathy for Health dated on Sep, 2017. On 24 may its 61st birthday of Respected Dr.Amarsinha Nikam. Falicitation Of Dr Santaji Kadam & Dr Balasaheb Gaikwad from Mission Homoeopathy on 24th Sep, 2017. 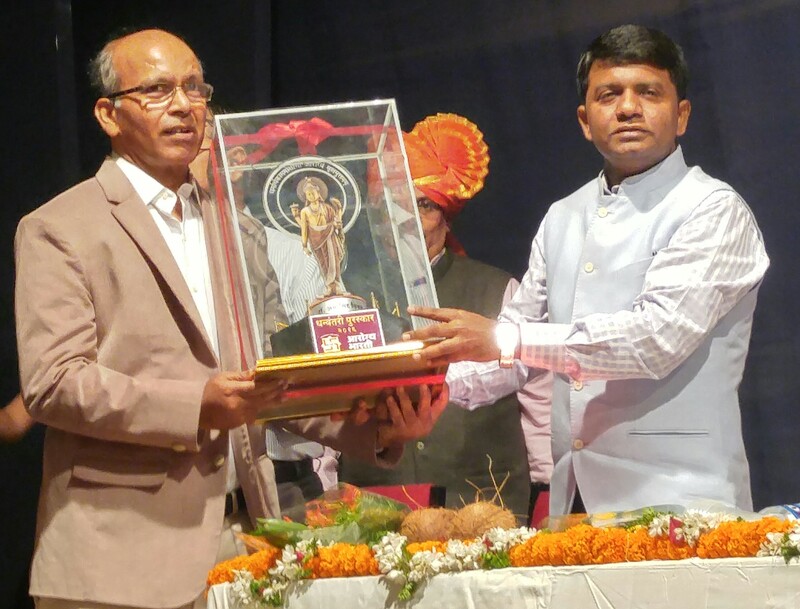 Maji Vidyarthi Melawa at Bharti Vidyapeeth, Pune. 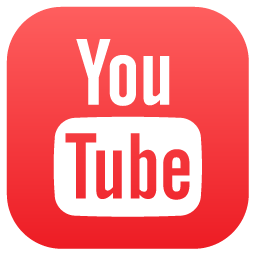 All the experience of visitors are shared in this section. 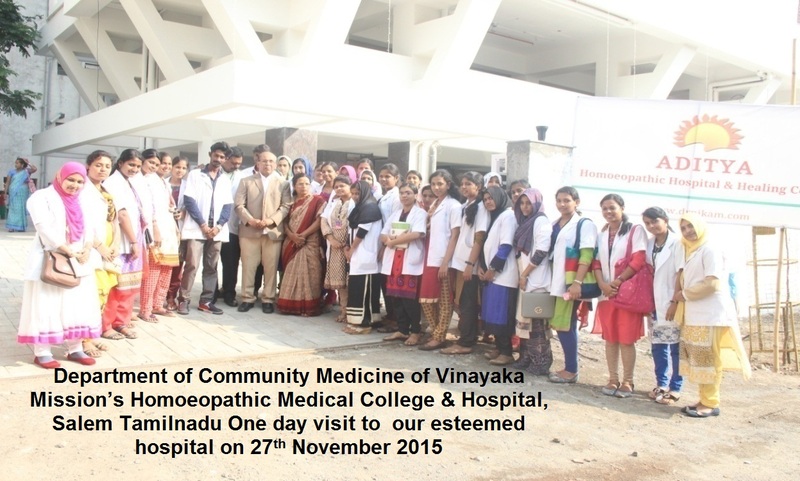 Classical Mission Homoeopathic Workshop on 27th and 28th January.